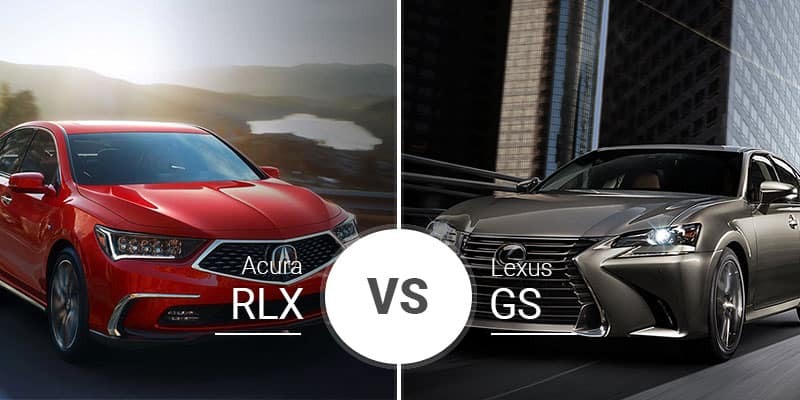 The 2019 Acura RLX and 2019 Lexus GS offer buyers tons of luxury and value, but can the limited 2019 Acura RLX lineup offer our Rochester, New York buyers a better ride than the GS? Continue reading to find out. These midsize luxury sedans offer sporty looks and tons of outward luxury, but there are key differences. The 2019 GS takes on Lexus’ signature styling that includes sharp body lines, angles everywhere, and that massive spindle grille. The 2019 GS also shows off its cab-rearward sport-sedan styling that shows off a long hood and short overhangs. The 2019 RLX, while sporty, takes on a more toned-down look that buyers not looking to stand out will appreciate. Also, the RLX’s front-wheel-drive platform results in longer overhangs and a shorter hood. 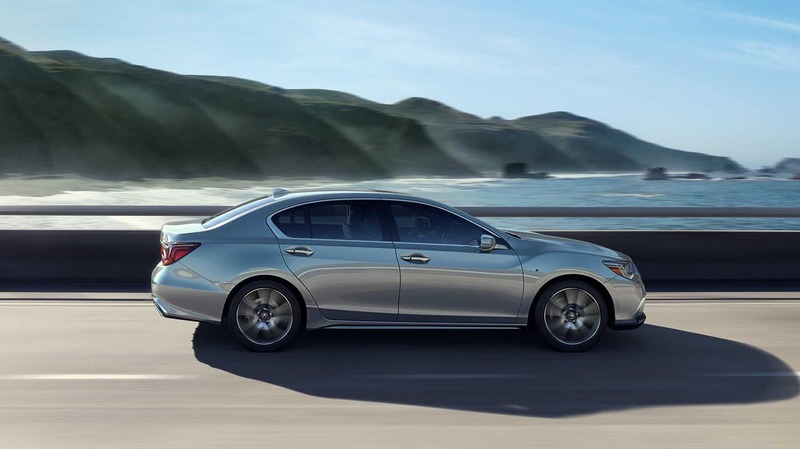 Though they both fall in the midsize segment, the RLX is the larger of the two in most exterior measurements. The Lexus GS checks in at 192.1 inches long, 74.4 inches wide, and 57.3 inches wide. 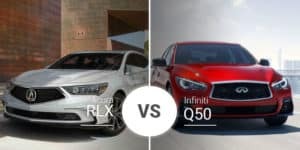 The 2019 RLX is narrower by 2 inches, but it is longer by 6 inches and taller by 0.4 inches. Both sedans ride on 112.2-inch wheelbases, which results in the aforementioned longer overhangs in the RLX. Inside, the 2019 Acura RLX and 2019 Lexus GS are insanely luxurious machines. Plus, neither one plays the role of a dressed-up version of their respective parent company’s cars. Thanks to its push-button gear selector and tidy center console, the 2019 RDX feels spacier and easier to manage from the driver’s seat. 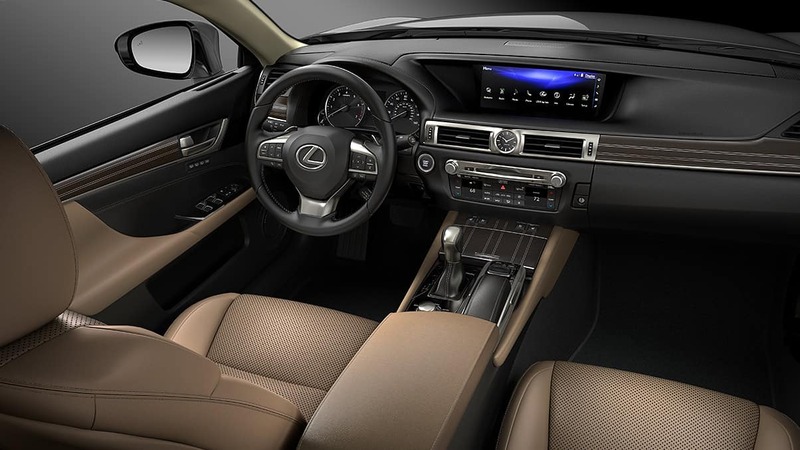 The GS caters to the sport-sedan-loving demographic with its traditional shifter and thick three-post steering wheel. In the front seats, the 2019 Lexus GS offers 38 inches of headroom, 42.3 inches of legroom, 57.3 inches of shoulder room, and 54.5 inches of hip room. The 2019 RLX’s front seats check in with 37.6 inches of headroom, 42.3 inches of legroom, 55.9 inches of shoulder room, and 59.6 inches of hip room. In the rear, the 2019 Lexus GS is roomy enough with 37.8 inches of headroom, 36.8 inches of legroom, 55.7 inches of shoulder room, and 54.1 inches of hip room. The 2019 Acura RLX comes up short in rear headroom and shoulder room by 0.9 inches and 1.2 inches, respectively, but it wins in legroom and hiproom by 2 inches and 2.9 inches, respectively. In the trunk, the Lexus GS offers a massive 18.4 cubic feet of room to the RLX’s 12 cubes. In the midsize luxury sedan segment, buyers are looking for a delicate balance between sport and luxury. 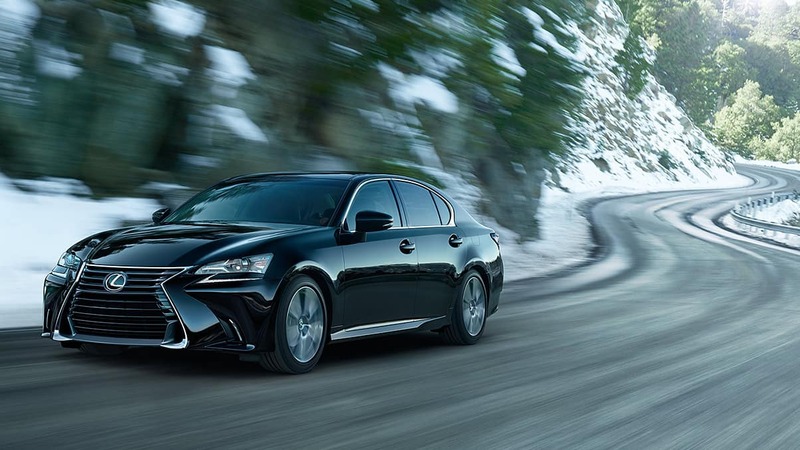 The 2019 Lexus GS offers that in two flavors. The base GS 300 comes with a 2.0-liter turbocharged four-cylinder engine that cranks out 241 horsepower and 258 pound-feet of torque. This engine pairs to an eight-speed automatic transmission that ships power to the rear wheels. This powertrain gets the GS to 60 mph in seven seconds. 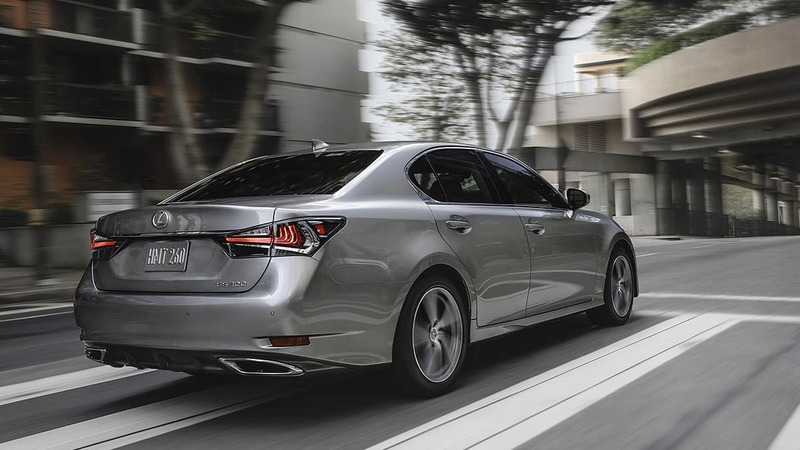 The GS 350 replaces the four-pot with a 3.5-liter V-6 engine that pushes 311 horsepower and 280 pound-feet of torque through an eight-speed automatic transmission and out to the rear wheels. Buyers can opt for all-wheel drive, but they have to settle for a six-speed automatic transmission. With rear-wheel drive, the GS 350 leaps to 60 mph in 5.7 seconds, while all-wheel drive increases the time to 5.8 seconds. 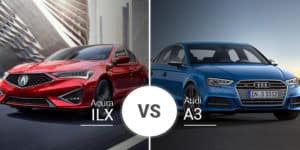 The 2019 Acura RLX is currently only available in its Sport Hybrid variant, which comes with a 3.5-liter V-6 that cranks out 310 horsepower and 273 pound-feet of torque paired to a three-motor hybrid system that pushes the total output to 377 horsepower and 341 pound-feet of torque. This power routes through a seven-speed dual-clutch transmission. Thanks to the three-motor hybrid system, all-wheel drive is standard. 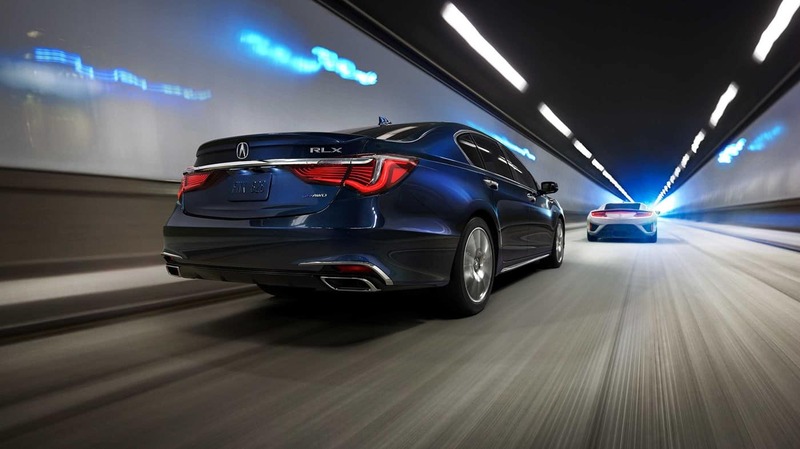 In independent testing, the Acura RLX Sport Hybrid rockets to 60 mph in just 4.9 seconds, crushing the Lexus GS. While fuel economy is not a focus point for this class, it can be a factor. 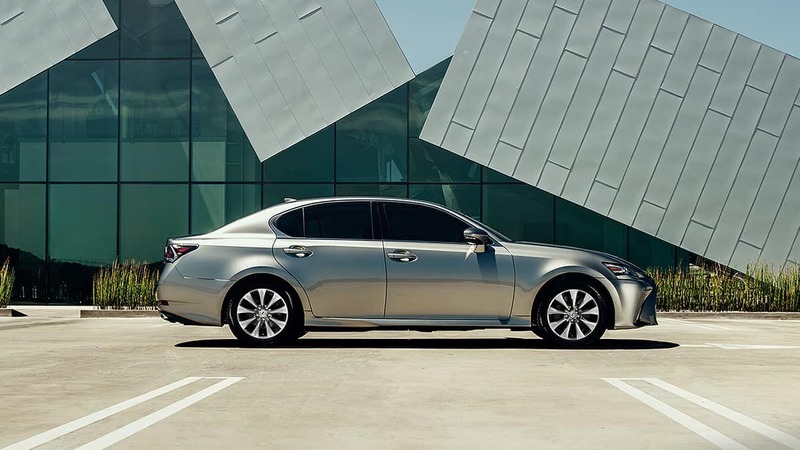 The 2019 Lexus GS 300 gets up to 22 mpg city, 32 highway, and 26 combined, while the GS 350 gets up to 20 mpg city, 28 mpg highway, and 23 mpg combined. The 2019 RLX’s hybrid setup gives it a huge fuel-economy boost to up to 28 mpg city**, 29 highway**, and 28 combined**. The 2019 Acura RLX is currently only available in its Sport Hybrid w/ Advance Package variant, which puts its starting price of $61,900 well above the GS. The 2019 Lexus GS is available in four variants: GS 300, GS 300 F Sport, GS 350, and GS 350 F Sport. These versions’ base prices start from $46,610 and top out at $52,360. 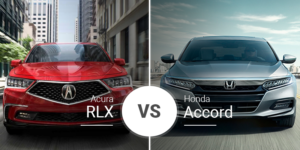 Because the 2019 Acura RLX is only available in its Sport Hybrid variant with the Advance Package, it is a pricey option. Still, it is great for buyers willing to shell out extra dough for a premium sedan that’s lightning fast, luxurious, and fuel efficient. Who Should Buy the 2019 Lexus GS? Want the true luxury-sports-sedan feeling without spending big bucks? The 2019 Lexus GS is a great option for you. Ready to tear up the streets of Rochester in the 2019 Acura RLX? Come by Acura of Rochester serving Rochester, Pittsford, and Fairport, New York today for a test drive. Don’t have the time to stop by today? You can also check out our full inventory online to see if we have a 2019 Acura RLX in stock that meets your needs. 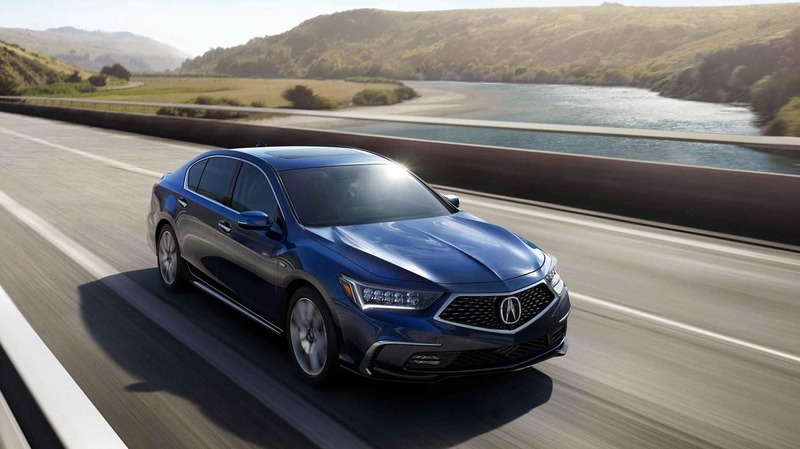 * MSRP for 2019 Acura RLX: Prices shown are Acura suggested retail prices only and do not include taxes, license or destination and handling charge. Destination & Handling charge is $995 for sedans and $995 for SUVs. Acura vehicle accessory costs, labor and installation vary. Dealers set their own prices. Please consult your selected dealer. ** MPG for 2019 Acura RLX: Use for comparison purposes only. Your actual mileage will vary, depending on how you drive and maintain your vehicle, driving conditions, battery pack age/condition (hybrid only) and other factors.